What are the different kinds of adverbs? What are the most important tips for using adverbs? Question 1: What is an Adverb? An adverb is a part of speech used to describe a verb, adjective, clause, or another adverb. It simply tells the readers how, where, when, or the degree at which something was done. The manager accepted the challenge very nicely. The italicized word is an adverb that describes nicely, which is another adverb. Tears began to fall as he saw the completely lifeless body of his wife. The adverb in this sentence is completely, which describes the adjective lifeless. Surprisingly, the cubicles of the public restroom are clean. Surprisingly is the adverb in this sentence. It modifies the clause that comes right after it. Even though all of the sample sentences above have one-word adverbs, adverbs are not limited to a single word. Sometimes, adverbs come in phrases. Take a look at the example below. At 4 a.m., a stray cat jumped into the open window. The italicized part is a prepositional phrase with an adverbial function. It tells when the event occurred. Question 2: What are the Different Kinds of Adverbs? The students measured the volume of the chemicals accurately. Heisenberg looked away from the dead body. They built a huge toy factory nearby. You will notice based on these examples that adverbs of place can be placed right after the verb or after the object of the verb. Syndra lived in Germany for a year. For a year tells how long something happened (how long Syndra lived in Germany). I’m going to the dentist tomorrow. The adverb tomorrow indicates when something will be done. This kind of adverb indicates the degree at which something will be done. It tells something about the intensity. Question 3: What are the Most Important Tips for Using Adverbs? 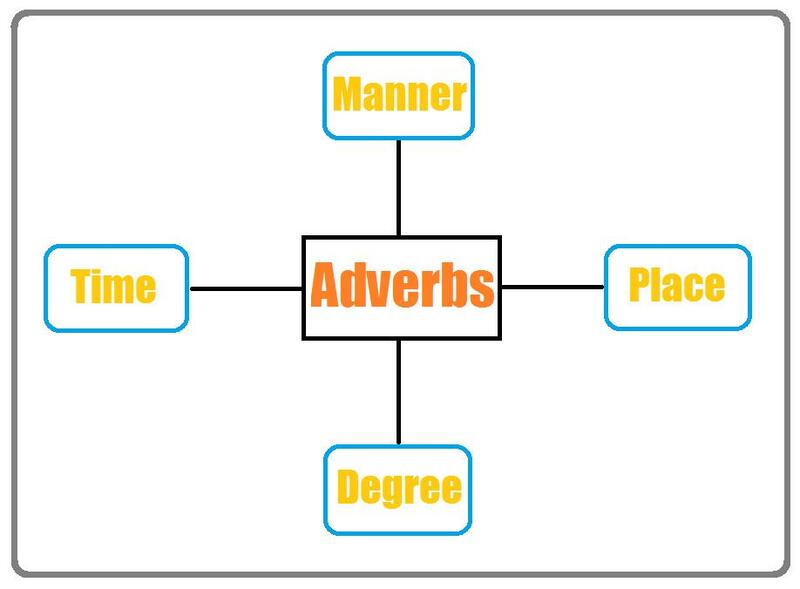 In writing an adverb of manner, you must never write the adverb in between the verb and the object of the verb. The first sentence is wrong because the adverb is located somewhere between “measured” (verb) and “volume” (object of the verb). Know when to use the comparative or superlative forms of adverbs. Words like more or less are added to the main adverb when comparing two things. Most or least are used if there are three or more things to compare. Not all words ending in –ly are adverbs. This is pretty obvious, but some students assume that a word is an adverb just because it ends in –ly. Do not overly use adverbs. If there are single alternative words, you can use those. After providing simplified answers to questions like “What is an adverb?” and “What are the different kinds of adverbs?” this article will surely help you understand the concept better. However, how you apply this knowledge and make use of it to your advantage still depends on you. Keep on reading and practicing your writing in order to hone your grammar skills.